Swamp Rat's Rat Pack • View topic - Show your game-area topic. Nice topic, here's some pics of my setup.. It's a few years old, but gets the job done. This is what I call ..... Brutte power. And believe me, this power is growing bigger by the next upgrade. Will post my cheatstation when i get home. 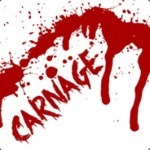 Sgt.Carnage wrote: Will post my cheatstation when i get home.